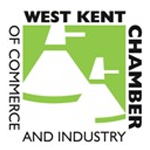 DMP had the kind invitation to attend the West Kent Chamber of Commerce & Industry monthly Business Exchange Meeting at Burrswood Estate, Groombridge on Wednesday 26th July 2017. This gave local businesses a chance to network and exchange business information across various industries. It was an enjoyable and eventful evening with the bonus of Burrswood Estate's scenic surrounds. DMP came away with various new contacts with whom we are looking forward to liaising with. A big thank you to the WKCCI for arranging and hosting the event.